This studio visit is part of an ongoing series of conversations with the Areaware designers. We asked our Spring 2017 designers to select someone to conduct an interview with them about their practice. 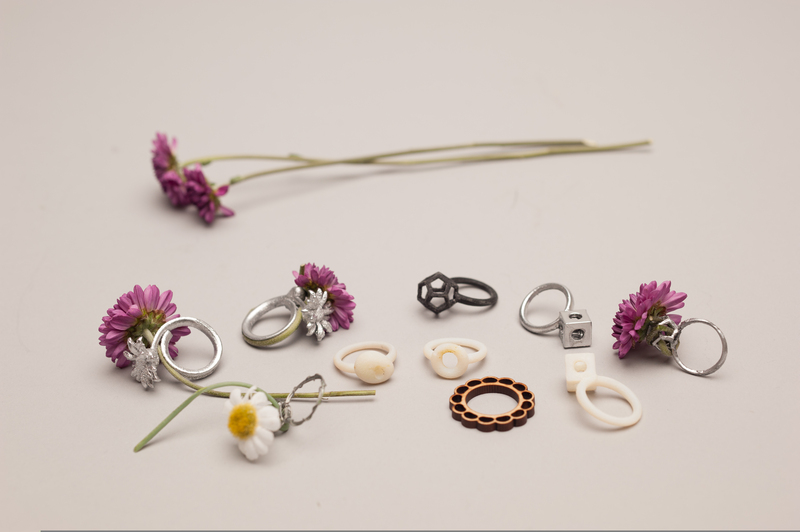 Gahee Kang who developed the Ikebana Ring sat down recently with designer Kohzy to discuss her work in product design and their mutual interest in the virtual world. Kohzy: How did you get into jewelry design? Gahee Kang: I never planned on designing jewelry. When I was studying product design at the School of Art Institute of Chicago, I joined a group called Whatnot. We created a line of products to exhibit and sell at the Milan Furniture fair. The group’s theme was "design for children". I started out with ambitious plans to prototype larger scale objects such as tables and chairs. But one night after midnight, before I was about to leave the studio, I made the very first Ikebana Ring: a banded wire made in a second. I had no idea then that I would come this far with that wire. K: Isn’t that how all these stories usually go: something really simple can turn into a really meaningful piece. So, if you were starting out with no experience in jewelry design, how did you design the Ikebana Ring? GK: I started making prototypes by laser cutting and 3D printing. I knew I wanted to make something geometric and minimal. I also wanted to balance the aesthetic and functional qualities of the ring. Shapes in nature - rocks, branches - were a big inspiration early on. K: When you first showed me the ring you were telling me that there is something very personal to it. GK: The flower arrangement theme, Ikebana, is so closely tied to my childhood memories, making daisy chains for myself before heading to church on Sunday mornings. 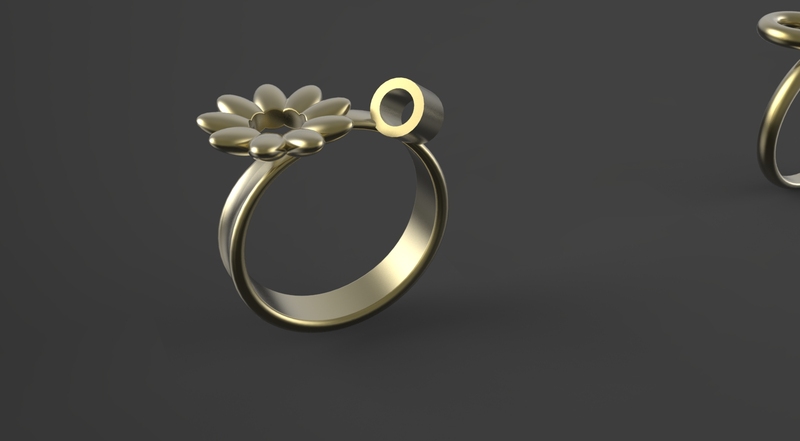 Based on that memory, I got the idea of making a ring that enables people to easily create their own personalized flower rings. K: What I noticed is that there’s an element of co-creation in your ring. 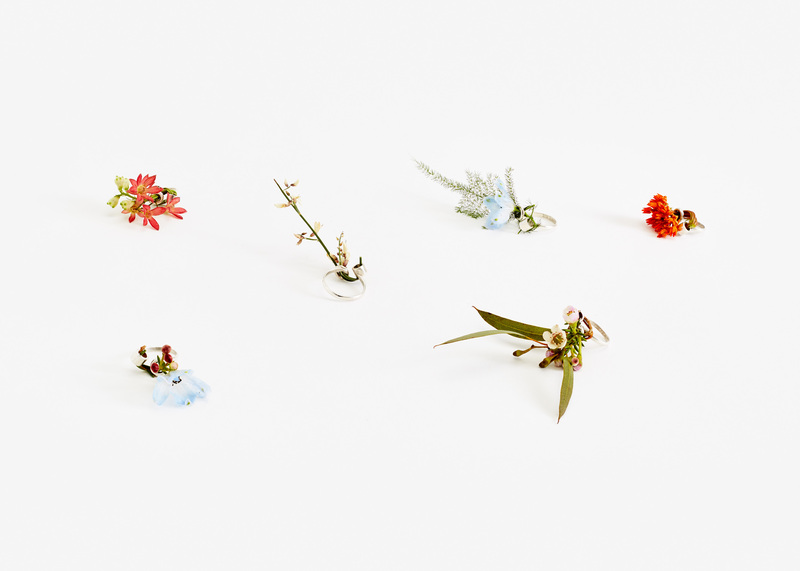 The Ikebana Ring doesn’t come complete: the wearer has to add their own wildflowers to the ring. You’re enabling the wearer to customize their own ring, and there’s certainly a juxtaposition of the natural and man-made there too. What was the intention behind that design? GK: That’s right. 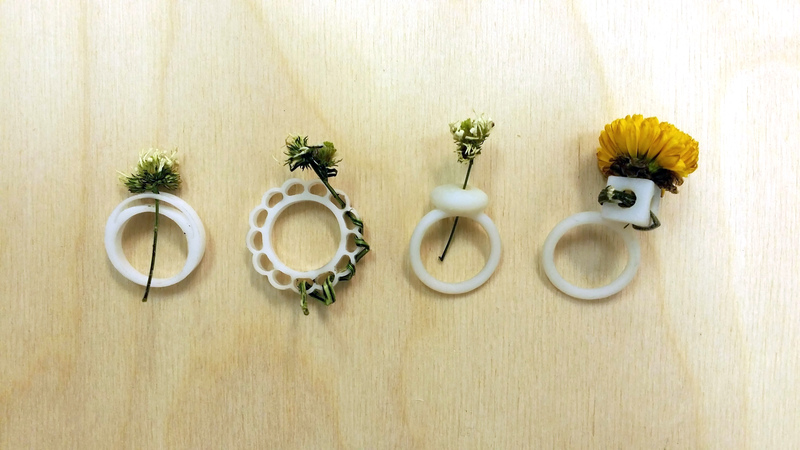 The ring pushes people to engage with nature. 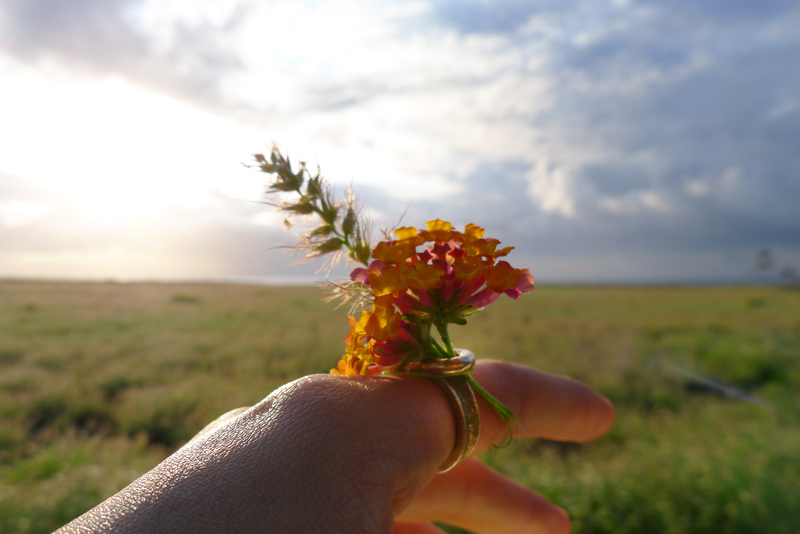 You have to actually go pick a flower yourself, and thread it through the ring. People like things that they make themselves. The ring combines something you yourself made, and your desire to keep nature close. K: I noticed the ring isn’t the only thing you work on with flowers. GK: Yes, I like collecting flowers and pressing them. I have a collection of flower albums that I keep. Flowers in the wild always look to me like carefully decorated presents. It may be really nice to receive an expensive ring with a gem on it, but the Ikebana Ring presents the immeasurable happiness because it is a gift from nature. K: Is there a particular flower that works really well on the ring? GK: It goes well with single stem flowers, and it always works better with wildflowers because those have softer stems than the flowers from shops. For the beginners, I would recommend starting with the Crested Dogstail. 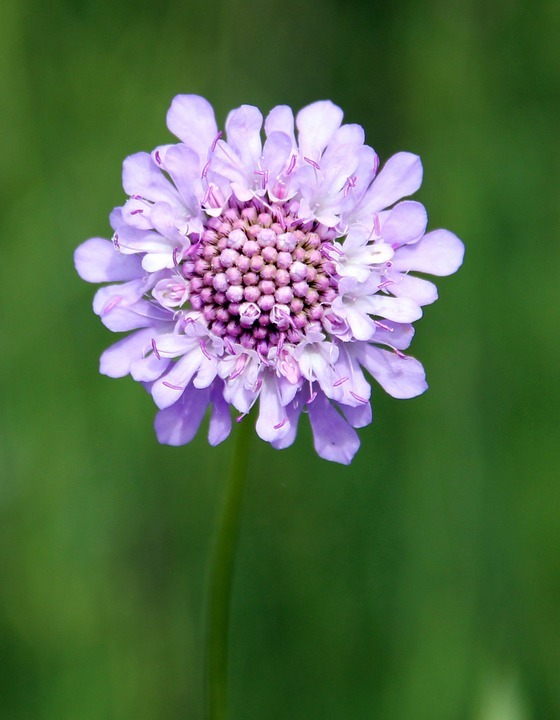 A personal favorite is the Field Scabious. K: What were other approaches to the ring that you tried? GK: I was trying different forms and testing with real flowers. 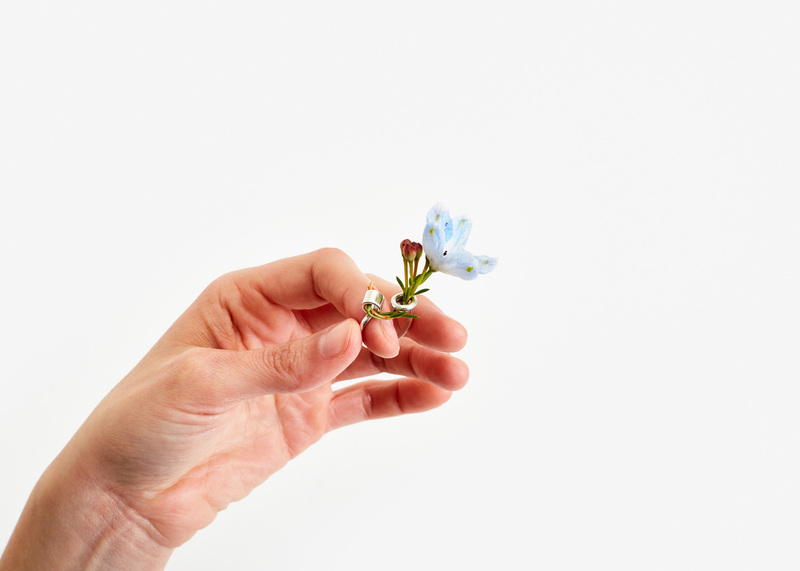 One other design that I loved is this flower-shaped ring, because it lets the owner wrap the band part of the ring with the stem of the flower. 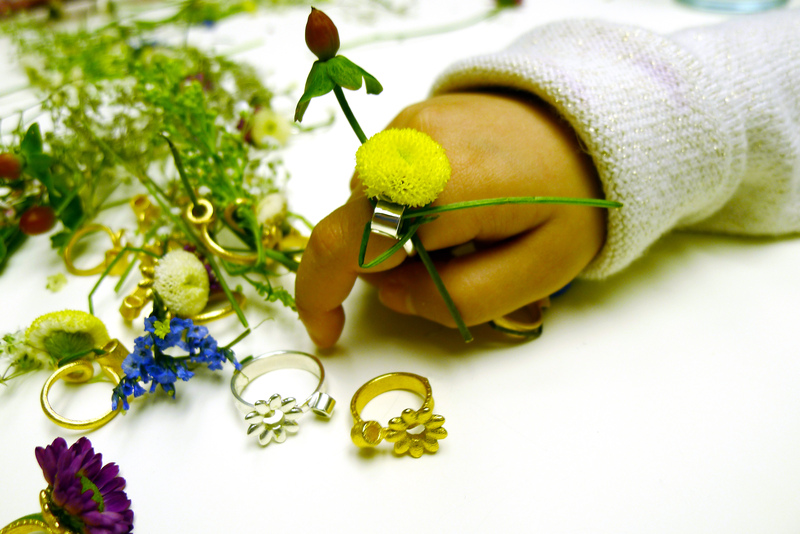 It made the ring more unique when users applied flowers to the Ikebana Ring. I am also looking to turn the ring into a series, with other forms. Next up is a brooch that can be pinned onto bags and clothes. K: I can certainly see how this approach of designing objects that serve as support and holders for flowers can be applied to other forms such as brooches. Who did you design this ring for? GK: The target audience evolved throughout the process. I began designing only for young kids. The idea was to encourage them to interact with nature rather than computers and screens. But many women wanted to buy this, and it became a product for adults who were reminded of the flower rings they made when they were young. I’ve also been contacted by many couples who want to give the ring to their partners. But my interest in children’s behavior continues to this day. Right now at SVA I am returning to that interest by exploring how I can motivate children to do analog activities with emerging technologies. K: So what are you working on now? GK: I’m creating a virtual reality workshop for kids. 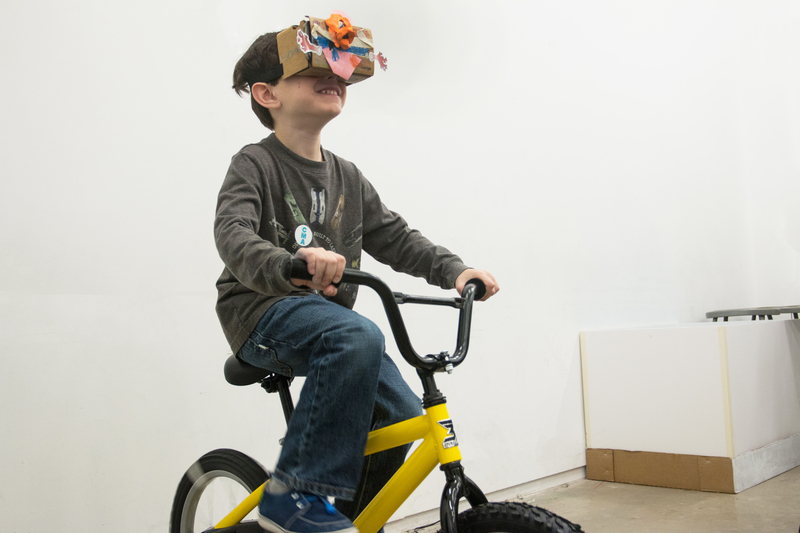 The workshop guides participants through a fun-filled craft session, and the participants then see their artwork come to life before their eyes in a VR space. The best part is that they can bike through this world they created. I want to encourage children to do analog activities through digital input. I want to start a VR education program. K: There certainly is a lot of potential for VR in education. GK: You’re also working with immersive experiences right now, aren’t you? K: Yeah. I’m more interested in augmented reality than VR, although some may argue today that these are all just points on the spectrum of “mixed reality”. I’m really excited about the possibilities that come with applying a digital overlay onto the world in front of us. There are applications in architecture and design, in tourism, in education, in public art, in gaming, and I can’t wait to see what gets created. But even stronger is my nervousness about the strange behaviors that will emerge from AR’s usage out in the public realm. So I’ve been designing AR patterns that foster more respectful, safer, less awkward AR usage. GK: You’re making AR more relatable. K: Yes, especially in the public space, where we encounter people of different backgrounds and tech savvy-ness. We can’t expect everyone to understand what you’re doing in AR and accept that behavior. Obviously this world is still kind of far out and may never pan out the way I’m describing, but this is the right time to start considering these issues. I’m very inspired by BC Biermann’s work and talks. In some ways, there’s something similar between what you’re doing and what I’m working on in that children growing up with new technology are the subjects for this research as well. They may be less well-versed in the social code of the sidewalk, less alert to the hazards on the streets. How will they behave if they end up growing up immersed in this digital reality everywhere they go? GK: There’s a real urban theme to your work. I noticed that when we collaborated on Sift, a project targeted at the waste pickers in the city. K: Yes, I love urban life. I’ve designed for sanitation workers, for accessibility, and I’ll be working in urban tech after graduation. I know I’ve gone pretty tech-heavy recently, but at the end of the day I do want to draw the individual’s attention back to the actual physical environment around them, natural or man-made. To take that thought behind your ring and find other channels and platforms to reproduce that intention. GK: I hope you draw people’s attention to the nature that’s all around them in the city! That way people can take a little piece of it, and continue to enjoy its beauty on the Ikebana Ring. 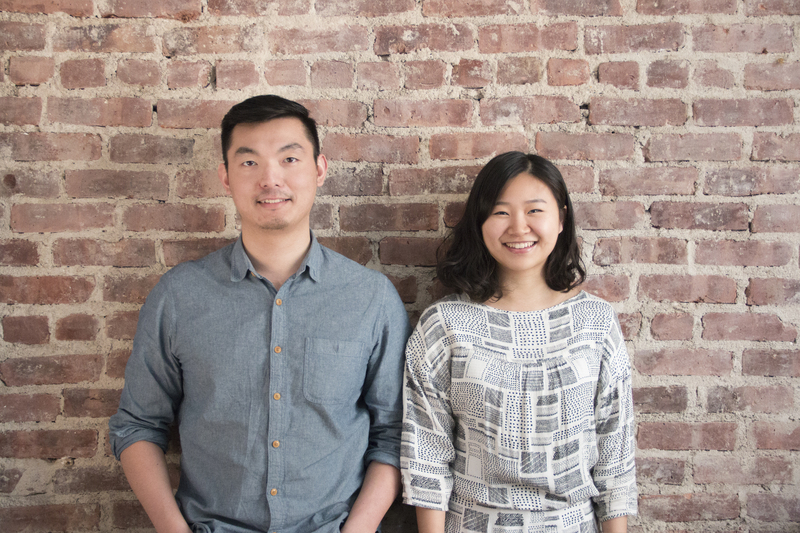 Kohzy is currently a grad student in Interaction Design at SVA, he enjoys solving problems. Kohzy especially likes problems and products that involve multiple stakeholders, complexity, and opportunity for outsized impact. His work combines thorough research, user-first design, and business experience tested in the NYC tech startup world. Kohzy loves the city. He keeps buying books even though he’ll probably never read most of the ones he already owns. Gahee Kang is an experience designer. She dreams of opening a ceramic studio with a big window and a dog called Boom (spring in Korean.) After beginning her design journey at the School of the Art Institute of Chicago (SAIC) studying industrial design, she joined MFA Products of Design at SVA to broaden her scope from the tangible to include the intangible: interaction design. Her designs are logical and lovely, blending her artistic creativity and knowledge of design. Gahee envisions a smarter and happier world through designs ranging from augmented reality swimming goggles to a smart lamp that encourages people to be more grateful of their daily lives.